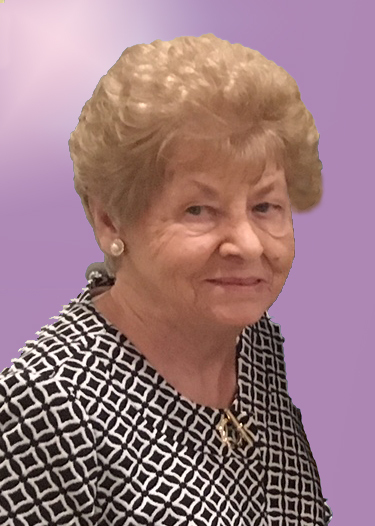 Eleanor Cinurchin (Laski) 87, of Springfield NJ passed away on February 12, 2019, with her children by her side. Born and raised in Jersey City, she attended PS 22 and was a graduate of Lincoln High School 1950. She moved to Springfield, N.J. in 1987. Predeceased by her loving husband Walter (Willie), parents Stefan and Anna (Dyak) Laski and sister Marie Laski. Loving mother of Ann Marie and William; cherished godmother of Joanne Jones (Zadik) and godson Kevin Spiak; loving cousin of Donald and Gloria Schmidt, Arlene Kryspin, Doris Arena, Kathy and Kevin Koster, Nelson, Charles, and Nancy Dyak, Jim and Connie Dyak, Jeannie and Fritz Leitner and Mary Hadewycz; niece of William Zorn Jr.; beloved grandma to Elio, Maria, Giulia, Teresa and Angela Arpino. Also, leaving behind many cousins, friends and her beloved cat Fancy, who never left her side. She worked for Royal Insurance as a keypunch supervisor/trainer, IBM and EF Hutton as a programmer/supervisor in Manhattan. She willingly gave up her career to be married and plan for a family. She married her husband Willie in 1966 and had two children Ann Marie and William. She was devoted to her children Ann Marie and William and to her family. Eleanor enjoyed being involved in school and church functions at Saint Peter and Paul Ukrainian Catholic parish/school. Member and Officer of the Parent Teacher Association. She was a former member of the Blessed Virgin Mary Sodality and Choir. Eleanor returned to work at Block Drug Company in Jersey City in the Ad Claims department, and retired as supervisor in 1994. She enjoyed reading, crosswords and word search; spending time with family and friends, and long phone conversations. She was so proud of her grandchildren, helping with homework after school, teaching them and being there for every school event and graduation. She lit up just talking about them and was so proud of the women they have become. She enjoyed the family annual vacations to Lake George ever since her honeymoon at Hidden Valley. Also trips to Atlantic City and vacations to Lewes DE. A Visitation for Eleanor will take place on Friday, February 15, 2019, from 3:00 PM to 8:00 PM with a Parastas service at 6:00 PM. Funeral Services will begin on Saturday, February 16, 2019, 9:30 AM at the Funeral Home, 10:30 AM at SS Peter & Paul Ukrainian Catholic Church (549 Bergen Ave., Jersey City). Interment will follow at Holy Cross Cemetery, N. Arlington.